Posted on October 15, 2012 at 7:25 pm. Could your kids be at risk for substance abuse? Families strive to find the best ways to raise their children to live happy, healthy and productive lives. 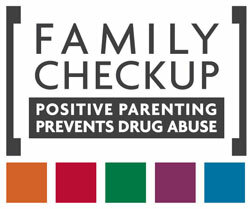 Parents are often concerned about whether their children will start or are already using drugs such as tobacco, alcohol, marijuana, and others, including the abuse of prescription drugs. Research supported by the National Institute on Drug Abuse (NIDA) has shown the important role that parents play in preventing their children from starting to use drugs. These five questions, developed by the Child and Family Center at the University of Oregon, highlight parenting skills that are important in preventing the initiation and progression of drug use among youth. For each question, a video clip shows positive and negative examples of the skill and additional videos and information are provided to help you practice positive parenting skills. Are you able to communicate calmly and clearly with your teenager regarding relationship problems? Do you encourage positive behaviors in your teenager on a daily basis? Are you able to negotiate emotional conflicts with your teenager and work toward a solution? Are you able to calmly set limits when your teenager is defiant or disrespectful? Are you able to set limits on more serious problem behavior such as drug use, if or when it occurs? Do you monitor your teenager to assure that s/he does not spend too much unsupervised time with peers?